I am a firm believer, if you give a student the right tools, their creative side will show through. Recently we have seen this through our schools social network – Yammer in the recent months, proving the value of communication in the school. Yammer itself was probably a bit of a gamble in the school market, my previous school did not see the value in it, however at Wymondham they took the risk. Russell Boulton was aware of what Enterprise Social meant and how we could manage any risk. So Yammer was born in January 2014. This has been rolled out to different year groups during the year, with some students ‘getting ahead of the game’ before hand! Some of our Wymondham High O Team leaders interviewed some students about ‘life before and life after’ we moved to Office 365 & Yammer. What I found interesting is the need to communicate, we are a big school (well in my eyes we are) and the ability for students to communicate with teachers without having to spend a lunchtime looking for them has been a real plus. The students in the video talk about being able to communicate with teachers – its important to them. Of course we have teachers who embrace the idea and are happy to utilise Yammer to its upmost. 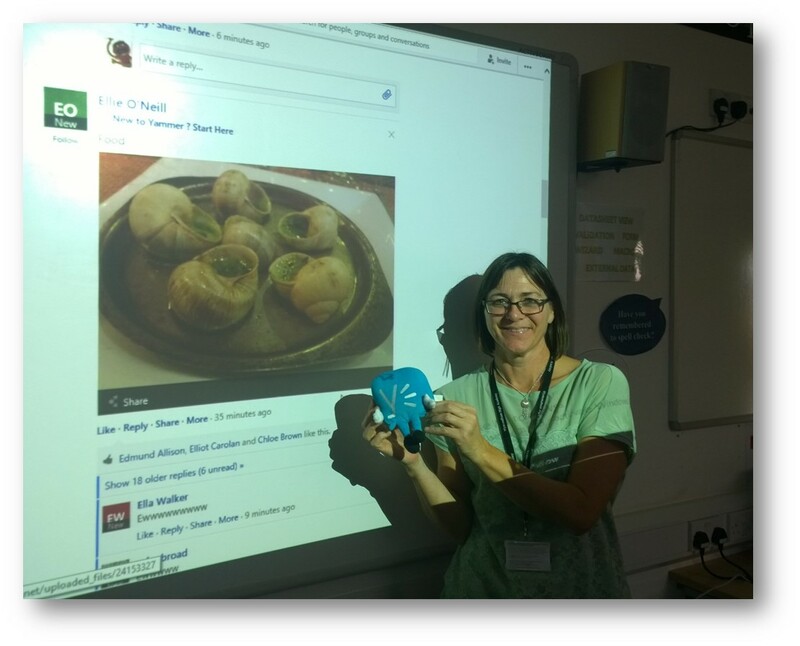 For example MFL teacher Kay Southgate has been a leading light on using Yammer and OneNote in the classroom with her Year 7 classes. Kay’s group on Yammer can only post in French (that’s the rules), but there are some superb conversations happening all the time. Of course the social media term of a ‘Like’ has almost replaced the traditional team point system from the past! So students enjoy using the technology, and it proves a complete benefit in finding out what goes on in a school the size of ours. The next step however surprised me also. We started seeing students create different groups such as My Poetry, My Drawings, Your Creations and a story-writing group where students began to showcase there work to others in this social showcase that they now had. This was not run by teachers but by students and have become very popular, remember this isn’t homework its just children being creative and being able to do so by having the right toolset to achieve those goals. 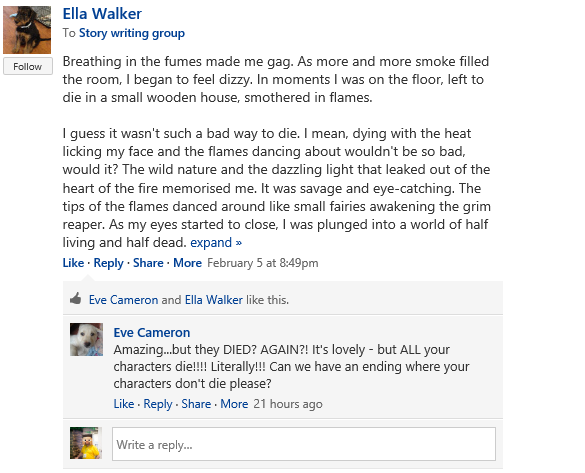 So here is a great example in the Story writing group, taken a few days ago. This group has been started by a group of Year 7 students and now has a healthy membership and as you can see Yammer has enabled the students to feedback and evaluate others work. These are fairly early days but shows the potential of an Enterprise Social network in school as a tool for students to self evaluate the work of others ! Yammer initially to me was all about improving communication using mobile devices as the end point, and this has certainly been the case for us, as you can see. These are our stats from the Yammer dashboard for the past 30 days. Social, as a form of communication is certainly the chosen method for students. As a school its dawning that Yammer is the quickest method of communicating to students ! Yammer also fills a great arena of e-safety for Year 7s but also allows us to collaborate effectively with other high schools and feeder schools using this familiar technology. I would always regard Yammer as Work in Progress as the only limitation on its use as an educational tool will be how creative our students want to be.